Redbridge High School was built in 1976 to accommodate students from Longmoor Special School which was then situated at the Cottage Homes (off Longmoor lane). 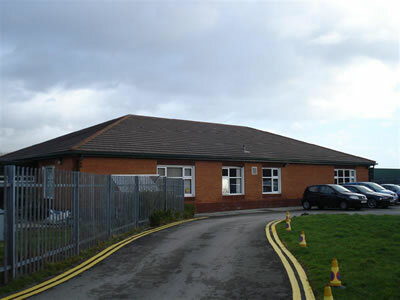 The School was specifically designed to cater for the needs of pmld and sld pupils. 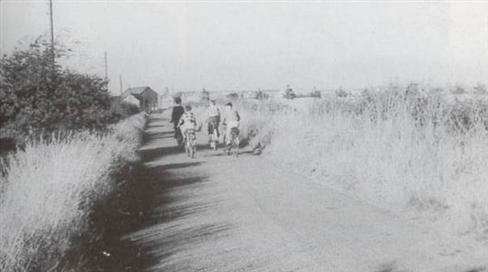 The earliest picture of Sherwood's lane shows a meandering country lane surrounded by fields. A stream trickled along the side of the lane towards Aintree Lane, this stream was later culverted when housing was built in the late 60's, early 1970's. On the original location of Redbridge High School was a farm housing pigs and poultry, at the end of Sherwood's Lane was a row of cottages that had no running water and was supplied by a well!! Redbridge High School has had 6 Headteachers, Shelagh Coats the previous Headteacher organised a staff vote on renaming the school from Longmoor to its present name. 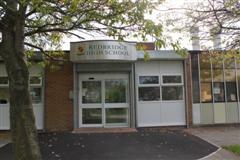 In 1998 Redbridge High School was extended and a new Base 4 was created, to provide additional educational facilities. In September 2015, Redbridge High School moved into a new building located at 179 Long Lane, Fazakerley. The building was purposley built for Redbridge High School and the neighbouring school Bank View. 'The Fazakerley Local History Group' who kindly gave us permission to use this image. The building of this extension added 3 classes plus a large kitchen. It also included toilets and office space. 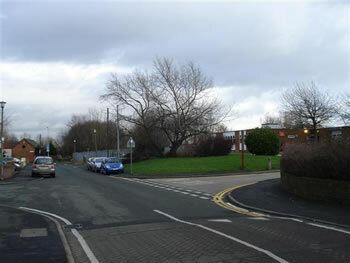 Redbridge High School is on the right of the picture, at the end of the road you can see the barn from the old farm house. In 2012 the school reception had a ‘make over’. The entrance was transformed and improved first impressions as people arrive at school.